When San Diego Gas and Electric needed a 525kV transformer with a separate cooling structure, Siemens, the manufacturer of this equipment, contracted WEGAI to perform a seismic analysis. The 870,000lb structure posed several engineering challenges. 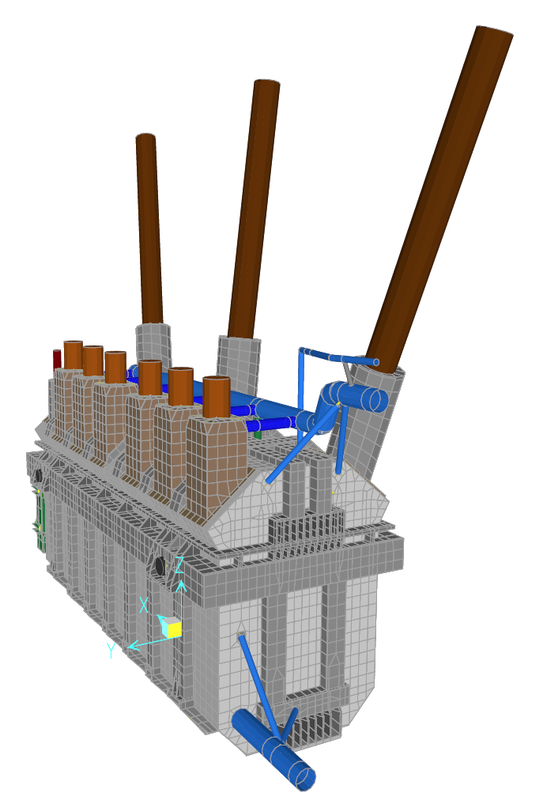 For one, the stiffness and complexity of the transformer tank and its relatively compact appendages made a static analysis the method of choice for this portion of the project, while the more frame-based structural design of the cooling system meant that a dynamic analysis would yield more accurate information about its ability to withstand the high seismic events that can occur in southern California. Further, the flexible cooling pipe connections between the two structures required detailed consideration. 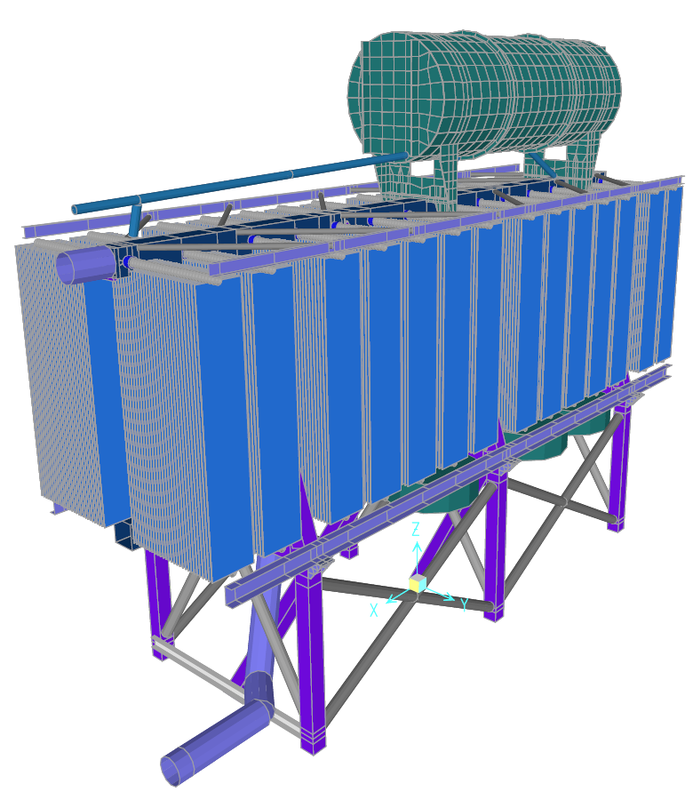 First, Finite Element Models of each structure were created. Each model closely approximated the plate, frame, material characteristics. Once modeled, the systems were analyzed under high seismic loading – separately at first. The outputs from both analyses were then considered together. The videos below show amplified modal (for cooling system) and static load (for transformer tank) deflections.